Megan’s story comes from pure determination and resilience. After her final project from Fashion school disappeared without a trace, she went into depression because of all the hard work she had put into it. Like they say, time heals all wounds, and Meghna has come out fighting for her passion and true love. She is really excited to show her talent to the world. Her collection this year is inspired by the fragrance of the “Potpourri” comprising of petals and spices. Her collection encompasses a myriad of designs and inspiration. 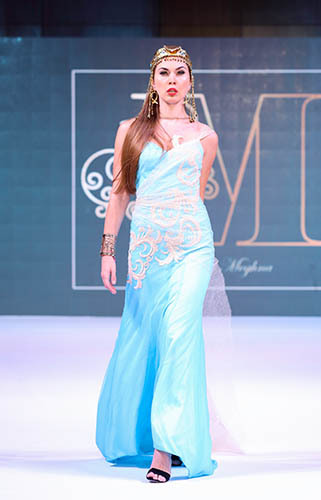 Each dress makes an individual statement in terms of style. 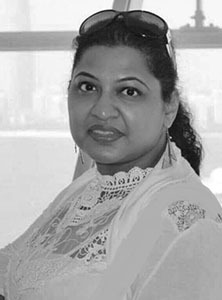 She sources fabrics like taffeta, satin,raw silks, Jacquard ,Tulle from Dubai and India. Meghna loves experimenting with different textures, bold colors, geometric earthy prints, and bright florals. She is also attracted to African prints because of the bright and bold colors. 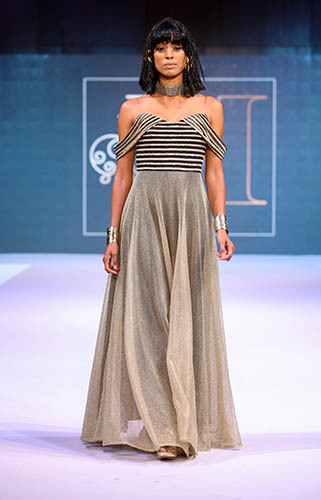 In summary, Meghna’s collection is a mixture of artistry & raw talent.